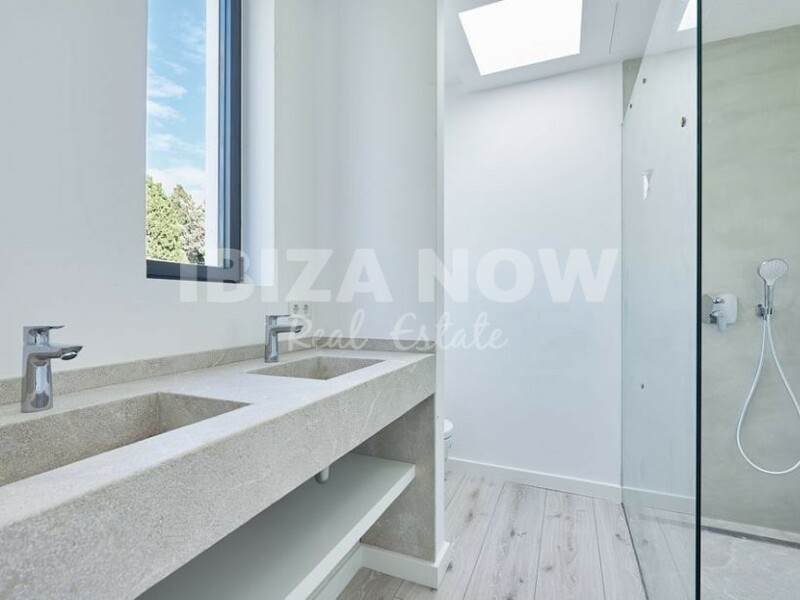 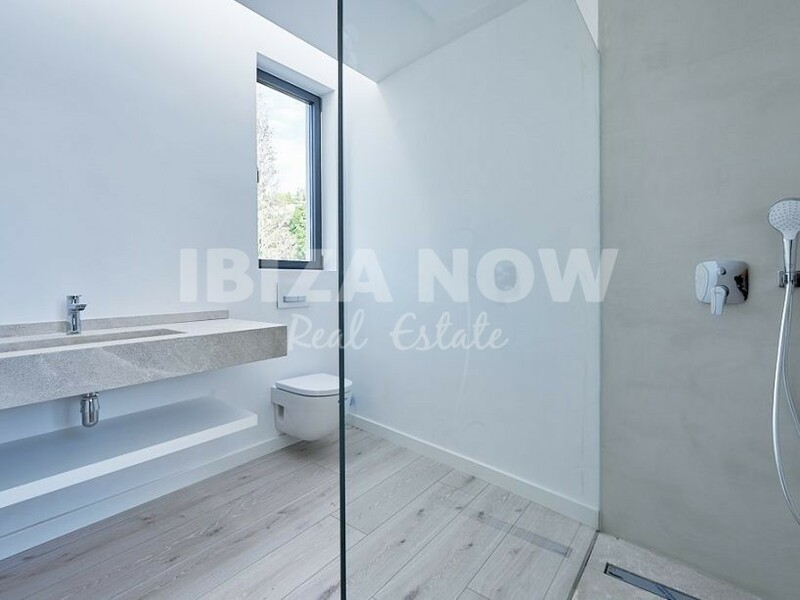 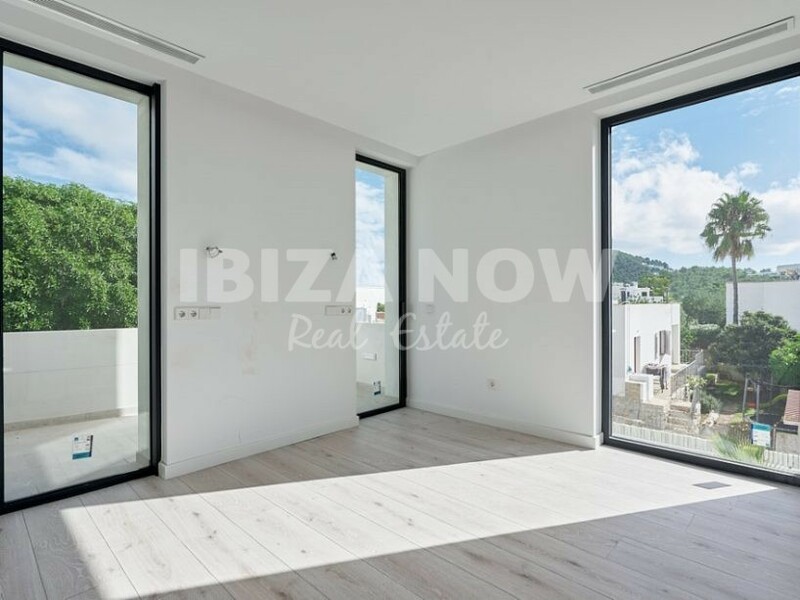 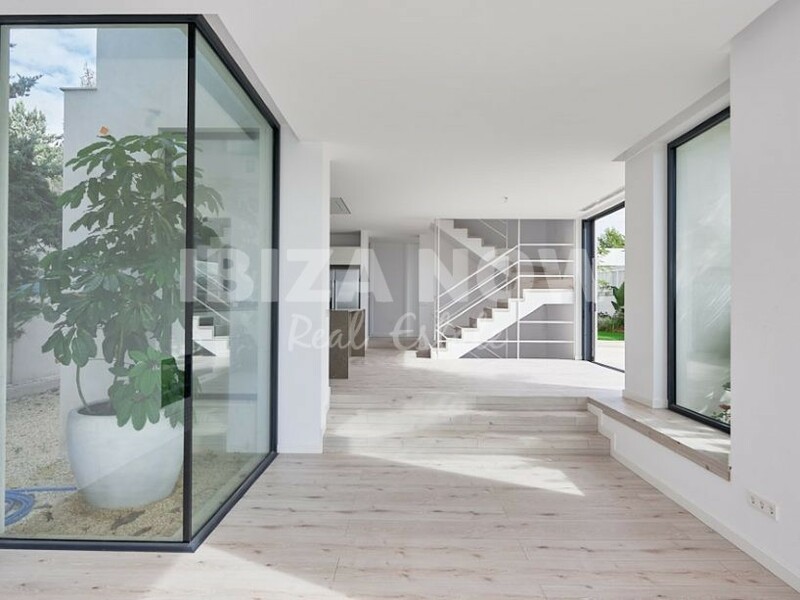 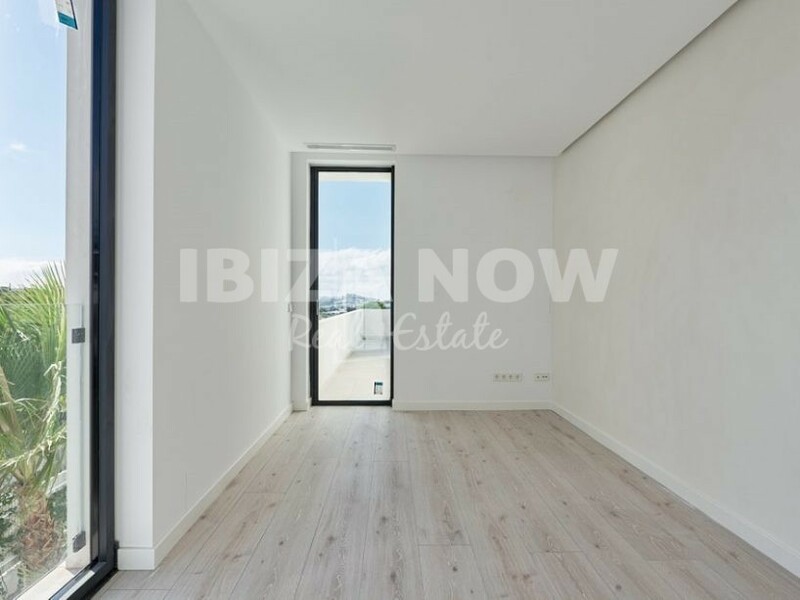 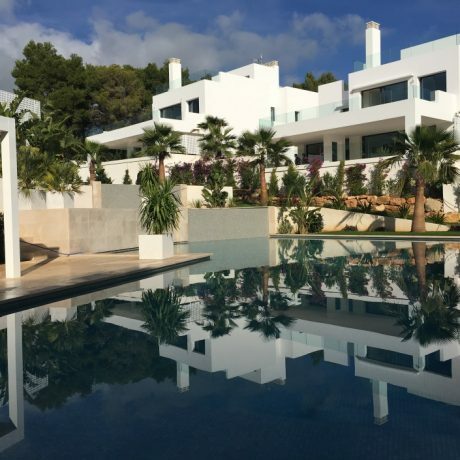 Modern villa for sale close to Talamanca beach, Ibiza. 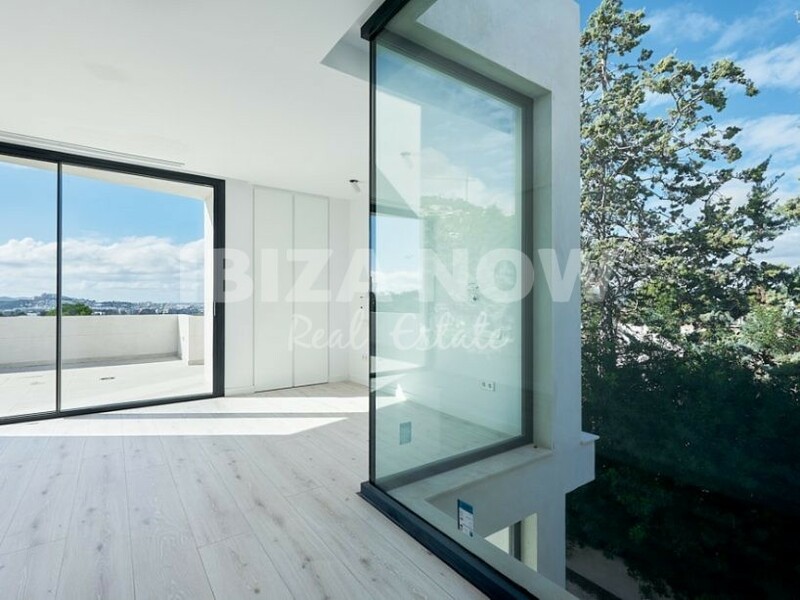 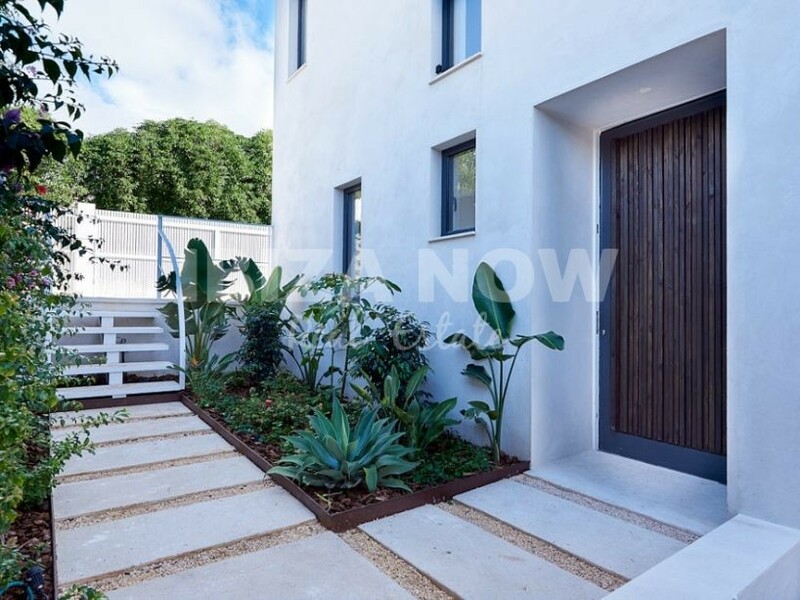 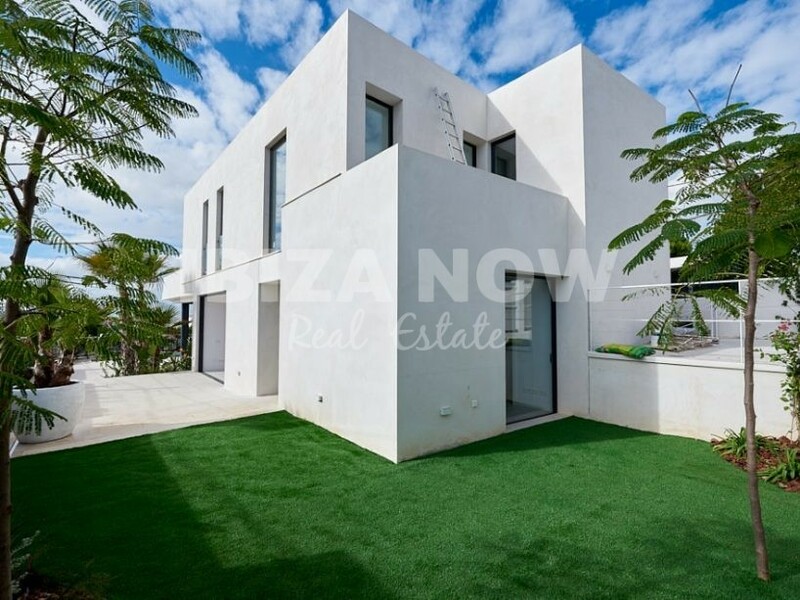 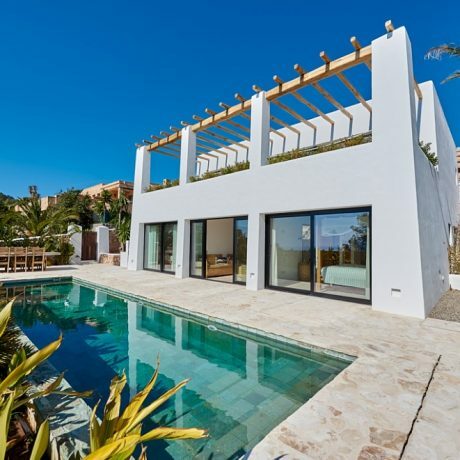 This newly built modern villa is located close to the beach of Talamanca and the village of Jesus. 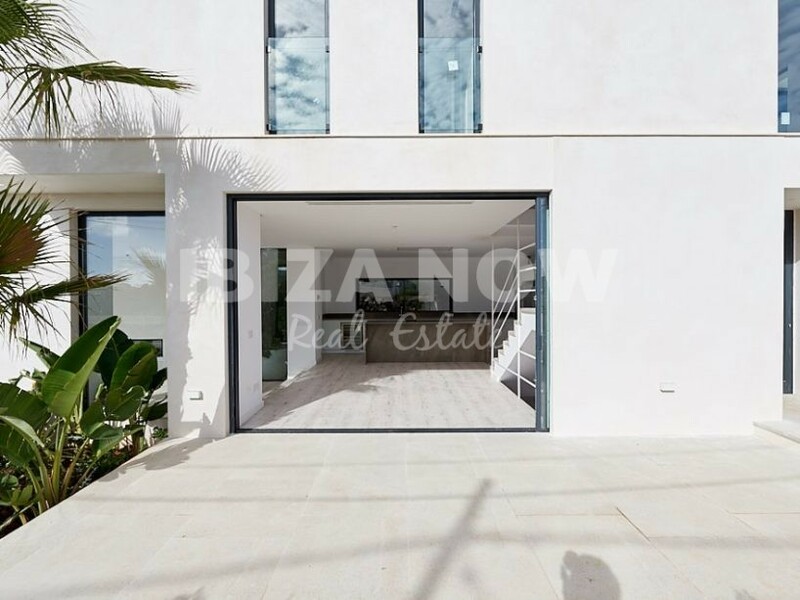 Set on a plot of 500m2 and with 330m2 built divided over 2 floors. 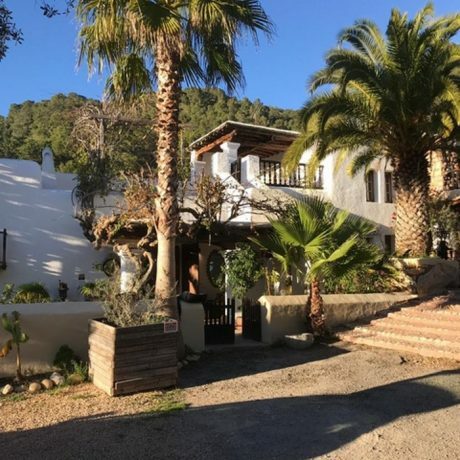 On the ground floor, we have the entrance hall, a guest toilet, 1 double bedroom with ensuite bathroom and built-in wardrobes, an open plan living area with large glass sliding doors that open up to the garden and pool area, furthermore, we have a large Italian kitchen with Siemens supplies. 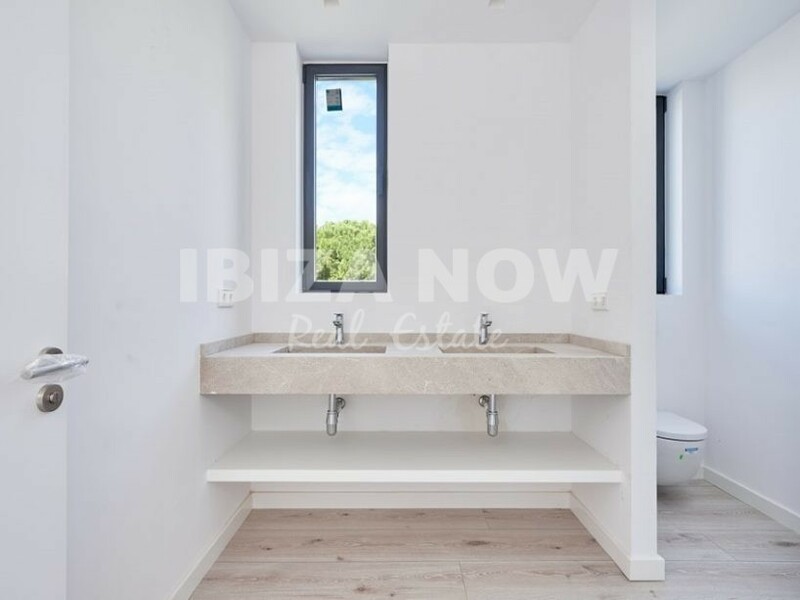 On the first floor, we have the 2 double bedrooms with ensuite bathrooms and built in wardrobes. 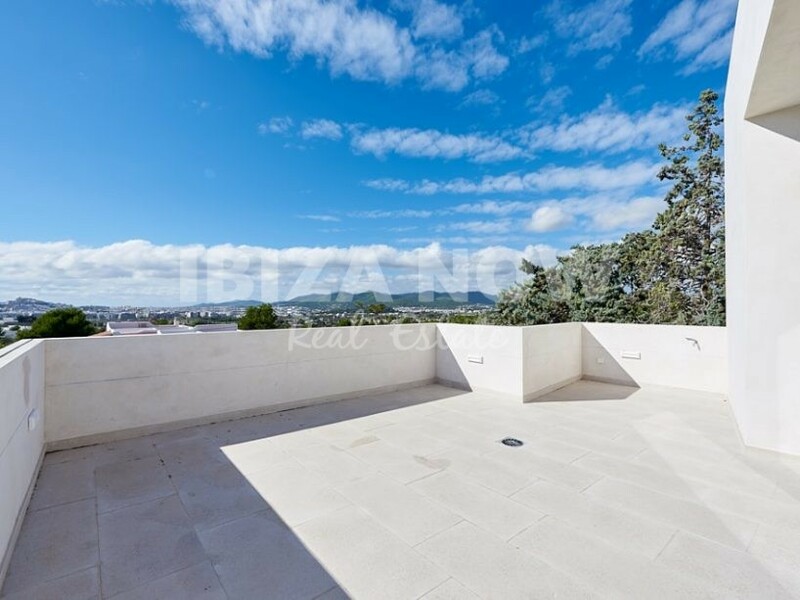 The master suite has a large terrace with amazing views to Dalt Vila and another bedroom with separate bathroom. 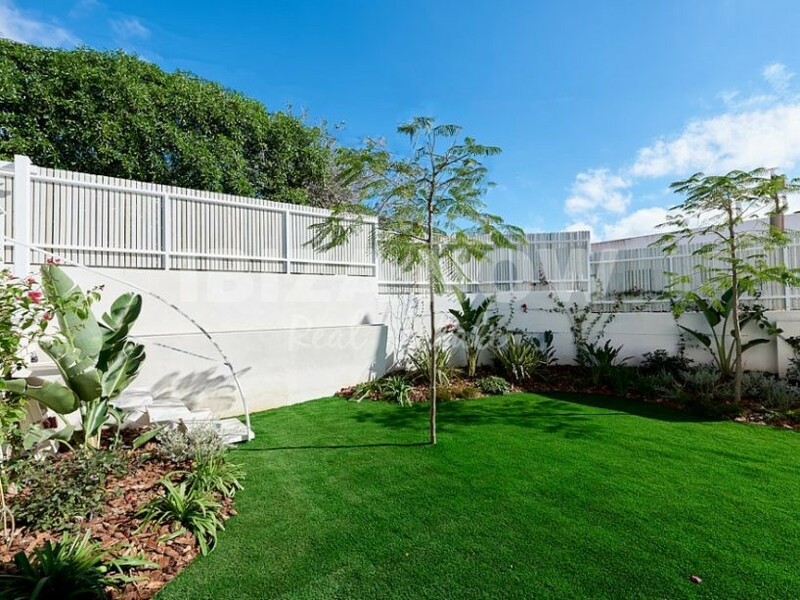 As for the outside area, there is a good size swimming pool and garden all around the house. 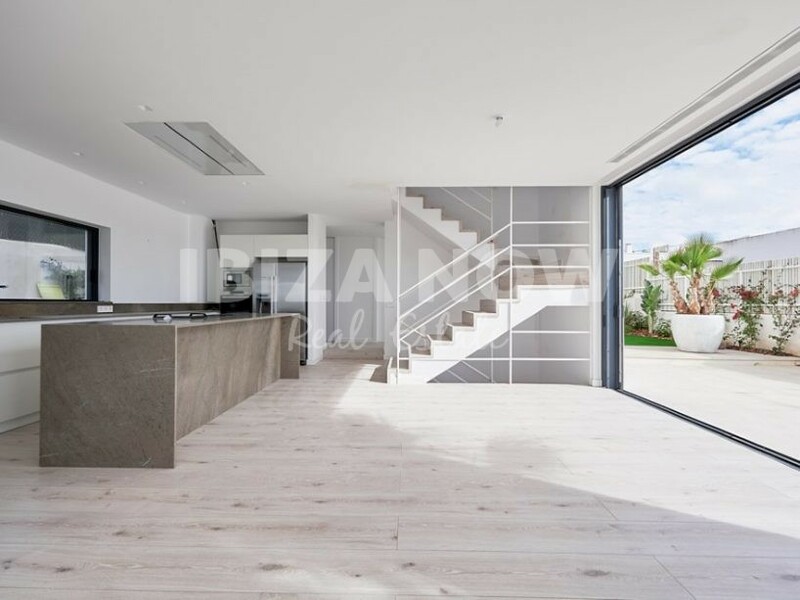 A small staircase down takes us to the cellar where there is the laundry area and plenty of space to create more bedrooms or to create a gym and spa area with access to a terrace. 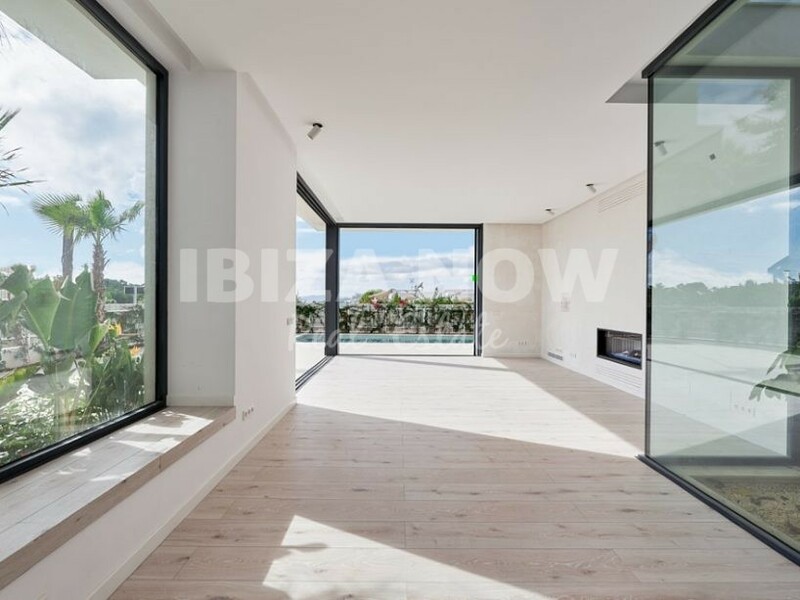 A great property in a good location close to the famous urbanization of Can Rimbau.